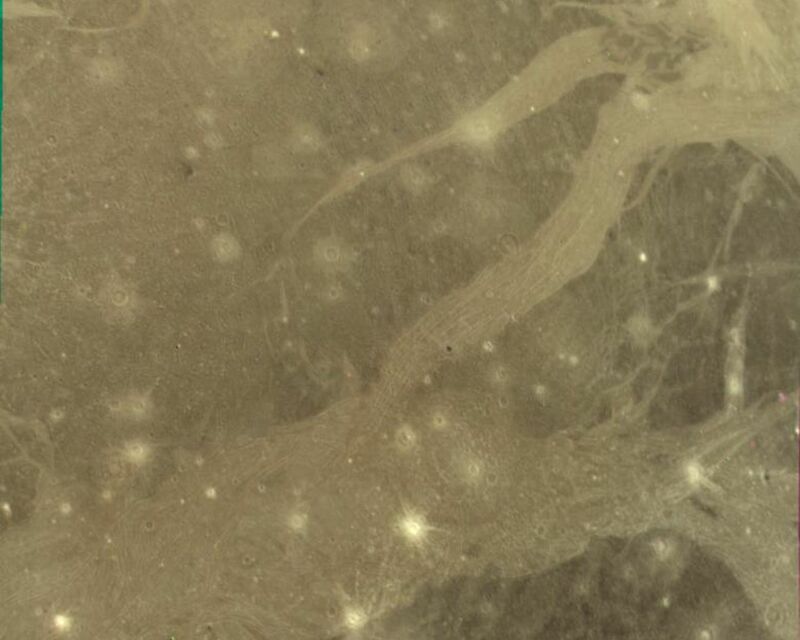 Voyager 2 took this picture of Ganymede as the spacecraft was nearing its encounter with the ice giant. It was taken from a range of 312,000 kilometers (195,000 miles), and it shows features down to about 5 to 6 kilometers across. 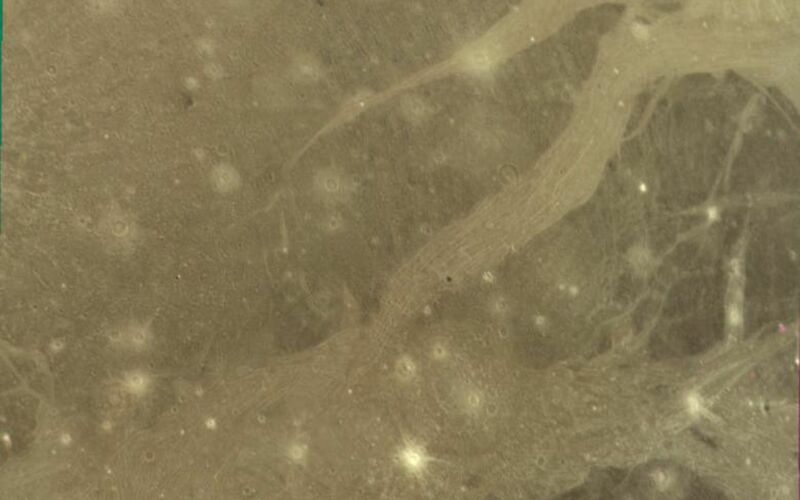 Clear examples of several of the different types of terras in common on Ganymede s surface are visible (right).. The boundary of the largest region of dark ancient terrain on Ganymede can be seen to the east (right), revealing some of the light linear features which may be all that remains of a large ancient impact structure similar to the large ring structure on Callisto. 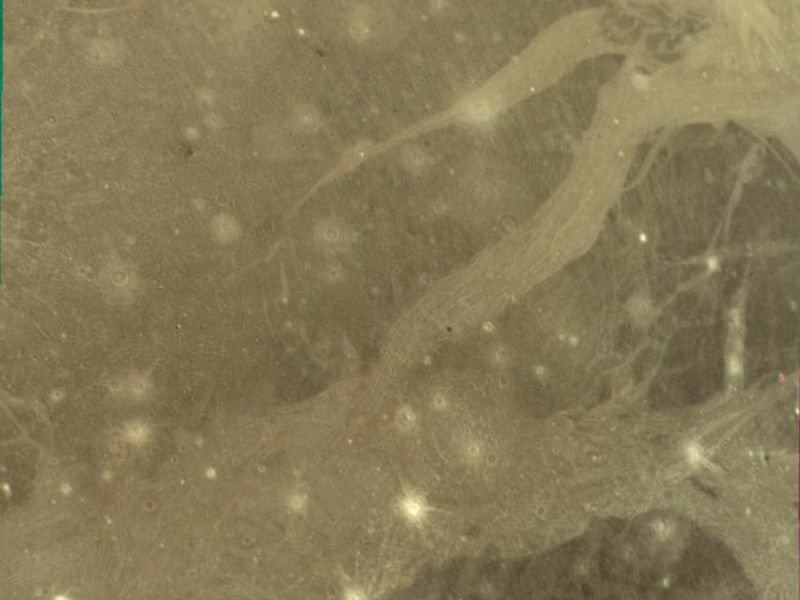 The broad light regions running through the image are the typical grooved structures seen within most of the light regions on Ganymede. 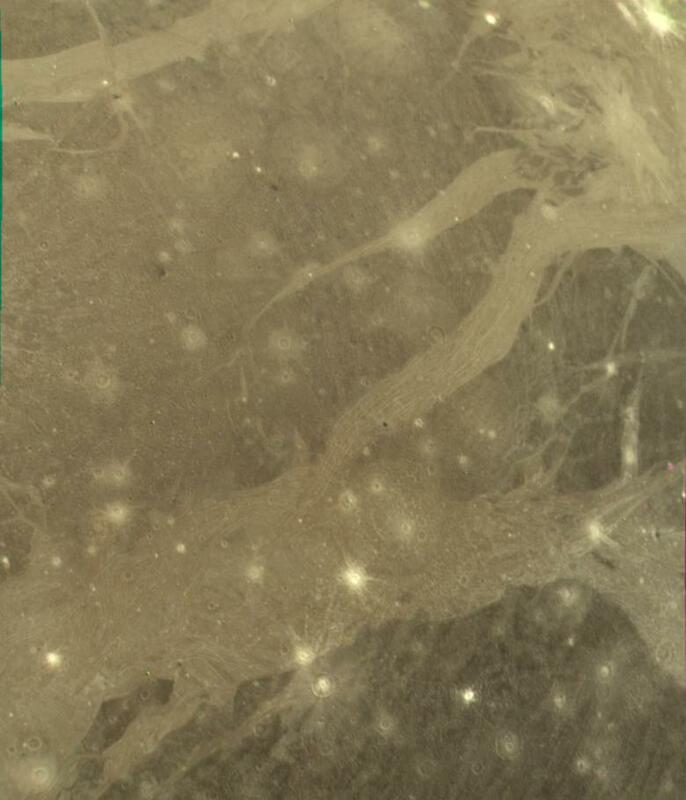 To the lower left is another example of what might be evidence of large scale lateral motion in Ganymede's crust. The band of grooved terrain (about 100 kilometers wide) in this region appears to be offset by 50 kilometers or more on the left hand edge by a linear feature perpendicular to it. A feature similar to this one was previously discovered by Voyager 1. These are the first clear examples of strike-slip style faulting on any planet other than Earth. Many examples of craters of all ages can be seen in this image, ranging from fresh, bright ray craters to large, subdued circular markings thought to be the "scars" of large ancient impacts that have been flattened by glacier-like flows.